Welcome to Yoga Paradise. We provide yoga classes and workshops for children, teenagers and adults. Yoga Paradise was founded by Priya Sawhney with the support of her two daughters, Amreen and Simrit. It was only when she came across Kundalini Yoga that she realised that she had experienced something beautiful which was taking her closer to her purpose in life. She came to a realisation that Kundalini Yoga had become a part of her life and she was living it and it showed: she looked younger, felt calmer, balanced, healthier and peaceful. It was a divine feeling of true happiness and a vision of seeing and appreciating the gifts in life. She has completed her teacher training course at The Yoga Institute in Mumbai, India. Followed by the teacher training course in London at the Karam Kriya School of Kundalini Yoga under the yogic master and spiritual teacher Shiv Charan Singh. Whilst enjoying teaching yoga to adults, Priya felt there was a great need to introduce the experience of yoga to children. Having two children of her own and seeing the difference it made to them, she was inspired and qualified at the Radiant Child Yoga Programme, completing her Level 1, 2 & 3. 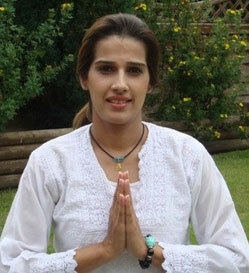 She is affiliated with the Kundalini Yoga Teachers Association and certified by the Kundalini Research Institute. Determined to make a difference, Priya started off teaching children in groups and on a one-to-one basis. In no time at all, Yoga Paradise expanded and Priya was joined by like-minded and passionate teachers. All of whom are fully qualified and CRB checked and who strive to spread the gift of yoga in a fun and creative way, helping the children and adults to lead a healthier, happier and peaceful life.